What if WiSA-compliant transmitters were built into DJ mixers and musical keyboards? 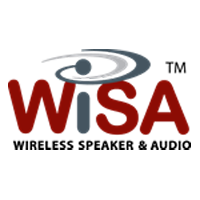 Thus far, the WiSA-enabled products and prototypes have targeted consumers and residential applications. But just recently, Summit Semiconductor, a WiSA advisory board member company, started delivering RF modules for professional wireless audio applications. This got me thinking about live events and concerts…weddings… DJs…. which lead me to wonder… what if WiSA-compliant transmitters were built into DJ mixers and keyboards? The standard WiSA-compliant transmitter sends 8 channels of uncompressed, 24-bit digital audio to 8 self-powered speakers. Usually, that equals a 7.1 surround sound mix, or some smaller portion thereof. But, there is nothing in the specification that says a compliant transmitter has to transmit surround sound audio. It could also transmit mono audio to 8 speakers, or stereo audio (left and right), sending the left or right channel to four pairs of speakers. As long as the receivers (normally in the powered speakers) fall within the minimum transmission range (30 feet) of the WiSA Compliance Test Specification (CTS), then the system is guaranteed to work. Longer distances are possible, if the signal was boosted, but the specification is certified to a minimum of 30 feet. Let’s look at our typical DJ setup at a wedding or club. The DJ plugs all of his or her music sources (CD players, laptop, iPhone, or if you are really lucky: actual record turntables) into their DJ mixer, where they mix the various music sources and adjust the equalization settings, filtering out or boosting different frequency bands to give a live performance aspect (“performance” definitely a stretch of the word for some DJs who usually just push play on their laptop, but I digress). So anyway, this DJ mixer mixes all of the sources into a main mono or stereo mix for the dance floor. There are also auxiliary outputs on the DJ mixer for headphones and recording; oftentimes if the DJ is famous, their set is made into a CD or MP3 track and released on the internet. This wireless link to the speakers gives great flexibility to the event planner. In the past, if the client wanted to have the speakers setup around the pool, the DJ also needed to be out by the pool. But now, the DJ can be on the balcony, or even the rooftop. You can have one or two speakers for the DJ and the rest you can place wherever you like. For the keyboardist playing during a cocktail hour between a wedding and the dinner reception, you could setup two wireless speakers in the lobby, one speaker on the patio, one speaker in the foyer, and another wireless speaker in the bridal party suite, so they don’t miss anything. Boat parties would be incredibly easier with wireless speakers, as would flash mobs, fundraisers, and fashion shows, where inevitably, someone always ask you to move your speakers at the very last minute. Well with WiSA, you can easily move your speakers and reconfigure the system instantly, adjusting volume levels and delays to each speaker on the fly. In summary, the WiSA Association definitely sees a market for wireless speakers at weddings and other parties, transmitting uncompressed, interference free HD audio that is easy to set up and easy to use. Although speaker wires may seem simple on paper, its much more difficult at a formal event, where you often have to tape the wires to avoid trip hazards. Most event spaces have power outlets on every wall. Just make sure you bring a few nice extension cords, some gaff tape, and those “triple taps”, that turn one AC outlet into three.